When you plan your wedding you always have at the back of your mind your guests. Because as much as your wedding will focus on you and your groom, it should go without saying that your guests are important too. After all, they’re attending your wedding to celebrate an important day with you and your new husband. And your wedding will make an impression on them. With a little forethought and planning, it can be a good and long-lasting impression. Sometimes though, details are overlooked and that can cause your guests to be disappointed or unhappy. 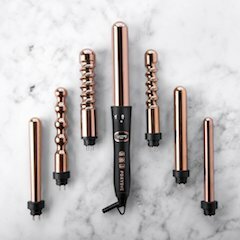 So your first thought should always be about the comfort of your guests. Of all the complaints guests make, this is the most common. Planning the timing of wedding events from start to finish is difficult. Ideally you and your groom (and your bridal party) should be ready to begin the ceremony on time. So make arrangements to be at your ceremony location at least 20 minutes before the ceremony is to begin. Build contingencies into your plan on the “day of.” Even if you arrive early, it’s better than being late. One of the biggest complaints from guests is that there’s a long wait between the end of the ceremony and the start of the reception. Your biggest delays (aside from getting ready for the ceremony) are taking photographs, changing clothes (if you’re changing out of your wedding dress for the reception), and getting to the reception. You want to allow sufficient time for guests to get to the reception. And you want to make sure all the photographs are taken before you and your groom leave for the reception. An hour between the ceremony and the reception is usually reasonable. It gives guests time to transition from the ceremony to the reception. But two or three hours (or more) isn’t reasonable unless guests have somewhere to go where they can relax and enjoy themselves while they wait for the reception to begin. One of the best ways to keep guests occupied while they’re waiting for the Grand Entrance is to have a stand up cocktail hour with appetizers and drinks. Another way is to have entertainment for the guests until you and your husband arrive. Finding a suitable reception venue to celebrate your big day can be a real challenge. And when you do find a great venue it might turn out that it’s quite a distance from the ceremony location. Two ways to getting around this: Have the ceremony at the venue location. Or, arrange safe transportation to the reception for guests. Tip: Make sure your directions to the venues are accurate. Even directions from the internet could be outdated. Do you want your reception to get off to a great start? If you do, then make sure your guests are well fed. And make sure the food is GREAT. Remember that, depending on the time your reception is held, your guests will probably be hungry. And hungry people need to be fed or they get irritable. Anticipate that your guests will be hungry. Anticipate delays before things get underway and make sure your guests are fed and have drinks to keep them occupied. Some people don’t drink for moral or religious reasons. Make sure you have something that pleases everyone – even if it’s something as simple as a refreshing non-alcoholic punch on a hot day. If you can, arrange some sort of entertainment while your guests are waiting. It will elevate the mood and start the reception off on the right foot. If you’re looking for ideas about food stations or food trucks then be sure to check out the Exclusive Bonuses that are part of The Bride’s Guide To A FUN Reception and How To Be A FUN Wedding MC because they’re a wonderful way to add FUN to your reception. Whether to have a cash bar or an open bar can lead to a lot of debate. There are pros and cons to each including budget considerations. Some guests don’t like to pay for their drinks. In some countries, states, and provinces it’s common practice to have a cash bar. In the United Kingdom, for example, a cash bar is common and buying drinks for the bride and groom is seen as a goodwill gesture. Sometimes there are restrictions or laws that make it far too expensive to have an open bar. In other countries, states, and provinces, a cash bar is seen as “tacky” and unrefined. The argument is that you wouldn’t charge a guest for a drink if they were visiting you at home. Some newlyweds compromise and have an open bar for a short time, supply champagne for toasting, and then have a cash bar for the remainder of the reception. Nobody likes to sit in the heat on a hot summer’s day. And nobody wants to be caught in a downpour when the weather changes. If you’re having your reception outdoors, always have a contingency plan. It’s not uncommon to have heat waves in summer or thunderstorms in the afternoon in some areas. Consider the weather when telling guests what the dress code is. You want your guests to be comfortable whether they’re at the ceremony or at your reception. Consider your out-of-town guests and how much they will have to pay for accommodation. After all, it comes out of their own pocket. Find reasonably-priced, mid range options for accommodations or work out a group deal with a nice hotel that gives reduced pricing for your guests. Music is a wonderful way to kick your reception into high gear. But it can also drag the mood down if it’s not thought out properly. Your guests want to mingle and talk to each other. And, usually, they will want to dance. But keep in mind that this isn’t a night club. Music should be softer during mealtime. And keep in mind that not everyone will enjoy the same type of music that you do. Mix it up depending on the age ranges of your guests. If you have a DJ, select him or her with care. And select your music choices with care. As well, make sure your DJ doesn’t try to embarrass people so they will get up an dance. It’s his or her job to encourage people to dance by having fun things to do. Tip: Make sure you’re not seating guests near the speakers – especially when the music ramps up for dancing. Be mindful of the fact that some or many of your guests might not be able to afford an expensive gift. And consider having more than one gift registry that caters to medium or lower priced gifts. Drawn out speeches are one of the quickest ways to bore your guests. In my article Wedding Guest Expectations I offer some alternatives and suggestions for speeches and toasts. 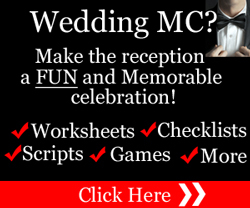 It’s no easy task to plan a wedding, let alone making it a FUN reception. 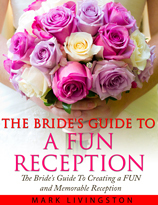 That’s why I created The Bride’s Guide To A FUN Reception. 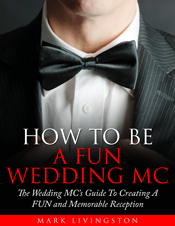 You and your Master of Ceremonies will have a step-by-step blueprint to help you plan fun activities (more than 50 fun games, activities, and entertainment ideas plus checklists and planning sheets) and make sure the reception flows along smoothly as you and your new husband celebrate your big day. The Bride’s Guide To A FUN Reception will also save you money, time, and stress as you plan your reception.